Expand search to view more listings in and around Iselin. See more offices in and around Iselin. Offices.net has 1 office available for rent in Iselin, ready for you to move in and get started working on your terms. The office suites, shared offices and coworking spaces we offer in and around the city allow you do business in a sought-after location from quality office space without the overheads and long-term commitments of commercial real estate leases. Offices.net offers businesses of any size a simple, quick and easy way to rent office space in Iselin. Many of the office buildings we list have facilities like manned receptions, fast internet connectivity and telephone lines. This can help remove the usual process involved in setting up an office, and let you focus on getting up and running. Most of the office buildings provide a reception area, state-of-the-art print and scanning amenities, internet and network wiring, telecommunications set up, and furniture. Additionally, many of the business centers also provide on site IT support, meeting rooms, 24 hour access and other professional services and amenities. Just choose one of the Iselin offices for rent listed on this page. 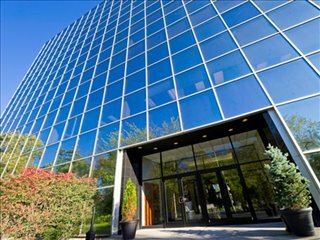 All of the office space and business premises are available on temporary rental terms to suit your requirements and are located in prime Iselin business positions. Offices.net also contains a extensive range of professional office space in other prime New Jersey locations, available on flexible terms. Get in touch today, and we will be do everything we can to help you find your perfect office.